We love pie! Fruit-filled or meat-filled, its hearty warmth fills the belly just right. 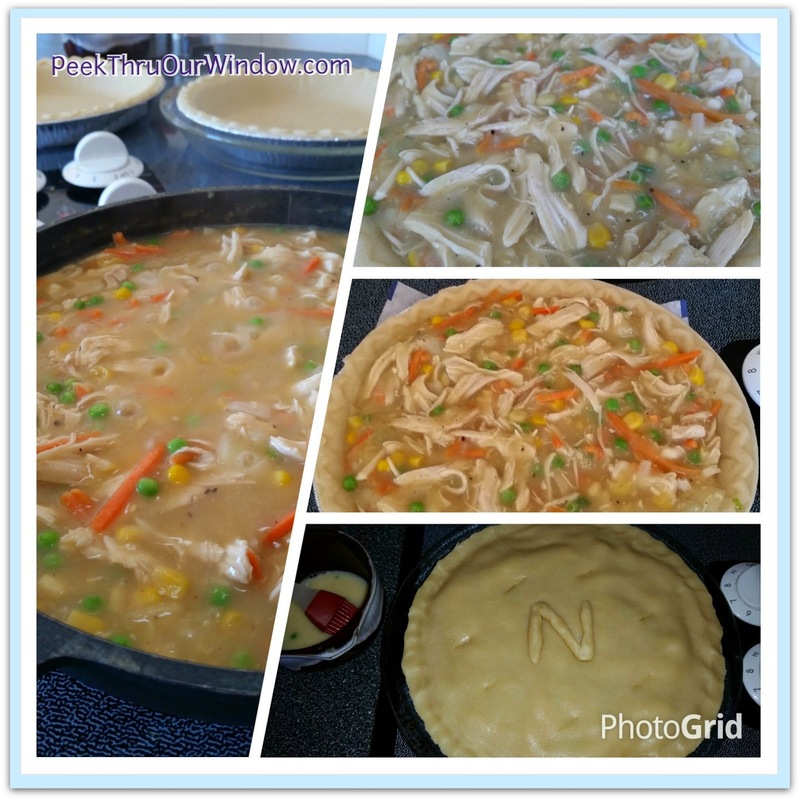 I pull out two ready-made frozen pie crusts (it is totally fine if you want to make your own), fill with a pan cooked chicken/beef/veggie concoction, cover and bake in the oven. 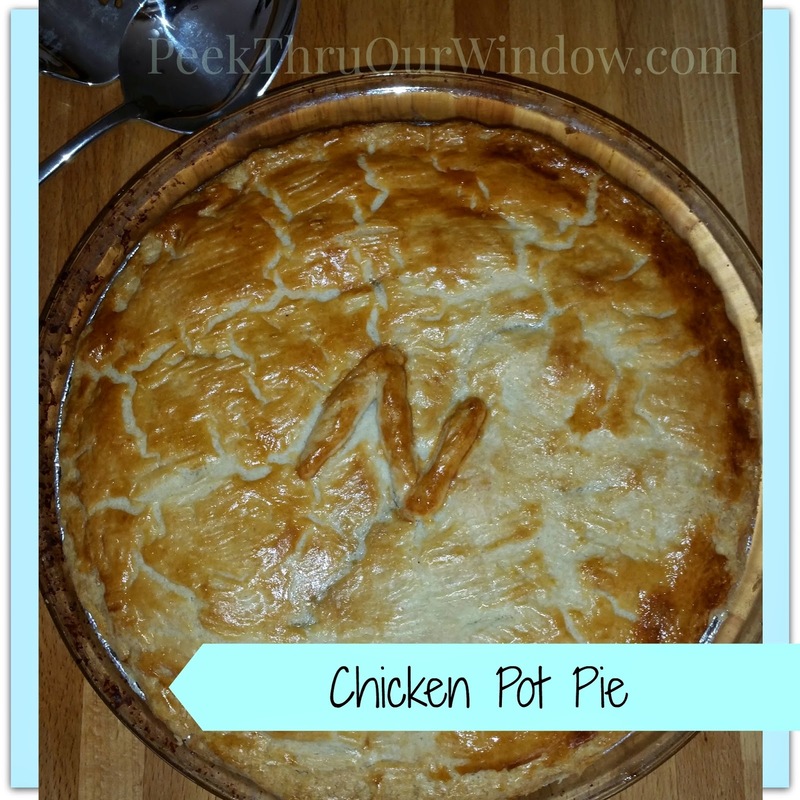 Start by thawing the pie crusts at room temperature while making the chicken mixture. Using leftover chicken (2 chicken breasts worth), add chicken stock or broth, carrots, celery, corn, peas, potatoes and a teaspoon of flour. Cook in a pan until the mixture thickens. Fill one pie crust with mixture and cover with the other. Rub the yolk of one egg on the pastry with a small brush. Bake at 400F for 10 minutes, then turn down to 350F for remaining 20 minutes. You don't have to use chicken -- any meat, or no meat will do too!